What are these students really asking for? Why are they protesting? Over the years, students have repeatedly asserted their desire to belong. Two years ago at Harvard, for example, students of color started the “I too am Harvard” movement to increase representation of marginalized communities on campus.6 Again, they are sending the same message: I am here, and I want to feel that I belong here too. What does it mean to “belong?” And what impact might it have on students’ academic achievement and motivation? After spending four years of their lives on a campus, what factors help students to reach a level of ease and comfort, where they can feel as much at home as their peers? What factors prevent them from feeling comfortable? Perhaps it’s easier to start with what doesn’t make students feel like they belong. It may be a lack of teachers from minority groups. It might also be a lack of representation of students’ minority group in the books they read and the movies they watch in class. It may be that there are few role models for them to follow. It may be the normalization of the majority culture in education while marginalized communities subject areas are referred to as “ethnic studies”. It may be the exclusion of minority students in student government or groups. The list goes on and on. Students are speaking up because they seem to feel that they are stuck in the “out-group”, and politics aside, from a psychological perspective, I hope we can all agree that’s not how our campuses should be making any student feel. When we find ourselves in situations where we are the “out- group” or in an environment in which we feel like an outsider, we use our mental energy to monitor for threats, leaving fewer resources for higher cognitive processes. When students feel as if they don’t belong in a school setting, the cognitive energy that should be used on social engagement and learning is being used to scan for group barriers, discrimination and stereotypes. For a person facing a stereotype threat, the process of thinking through the possibility of confirming a stereotype by performing badly on a test causes a great deal of anxiety. In turn, this anxiety places a drain on a student’s energy and cognitive resources. As a result, the capacity of working memory is diminished, and performance is impaired. Working memory is the ability we have to mentally manipulate information over short periods of time. Working memory can be thought of as your scratch pad, or your personal search engine, or as a mental workspace that we can use to store important information in the course of our mental activities. You can see how having an impaired working memory could affect your ability to mentally search through vast quantities of information. Even if you did manage to remember the necessary information, your mental workspace may still be in disarray. Stereotype threat has physiological, as well as cognitive, effects. Social threat or disconnection seems to be processed in the brain in the same way as the threat of physical harm.10 When the threat is detected, a range of neurophysiological processes are set in motion. The hypothalamic-pituitary-adrenal axis (HPA) goes into overdrive, releasing a hormone called cortisol. Not surprisingly, cortisol is often called the stress hormone. High levels of cortisol seem to decrease neural connections the hippocampus, part of the brain associated with learning and memory and stress control. 10 Cortisol can negatively impact the prefrontal cortex, an area associated with high-order cognitive abilities. For more details watch this short clip from TEDEd on How Stress Affects the Brain. As educators, we need to make it a priority to create an environment where our students strive and can learn to their full potential. In this country there is a very clear image of what success looks like. These ideals of success apply to all domains of life, not just the academic aspects. If we are in the majority culture, then it may appear that the system works well – but that’s not always the case for marginalized students. 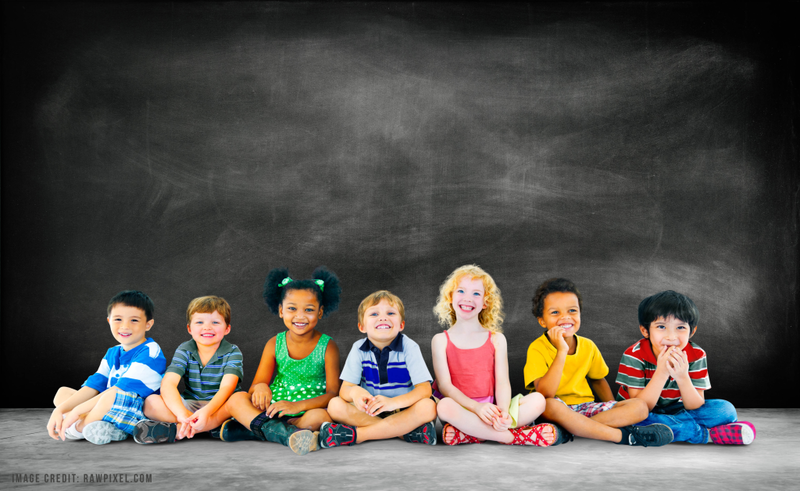 Often, it is not only in school that minority students do not feel they belong – it is in every facet of society. The problems faced in schools is the effect of bias in society at large. However, the school is one place where we should be able to completely control whether students’ voices can be heard and their opinions can be of value. The classroom has the unique opportunity to provide equal support and equitable opportunities to all students. Will our students end up feeling the same when they reach college? What are we doing in our classrooms, in our cafeterias, on our playgrounds, to ensure that our students, staff and leadership feel as if they belong. Are we being intentional about how we structure our classrooms to encourage a sense of belonging? Research has shown that having academic material mirror student’s’ home life and culture helps them relate to the curriculum and take ownership in learning, improving academic achievement in a significant way. 17 Culturally Responsive Teaching(CRT) aims to address these challenges. It makes an effort to legitimize all cultures. It gives students the space to take ownership of their cultural heritage. It shows them the value of maintaining this heritage and to do so with pride. There is an effort to create an environment where there are no subtle or overt pressures for students to disavow their own culture and assimilate to the majority culture. Policies, practices of inclusion and CRT are a start, but I think that even before implementing these solutions, the first step needs to be a self- awareness. For our students to be accepting of one another the attitude shift must start at the adult level. If we, as the leadership, staff, or teachers, do not display an attitude of inclusiveness and celebrate differences, how can we expect our students to act any differently? Change must start with us, the role models that students follow. We must be introspective and honest with ourselves, recognizing our own biases and assumptions. Do we expect less from the Hispanic student than we do from others? Do we quickly punish our black students and take time to listen to others? Can we empathize with our students? Do we want to make an effort to change how to run things in our classrooms? This article is not intended to provide easy answers. It is merely raising awareness about important issues that are affecting our students right now. When we’re ready, we can start looking for some practical answers. Let’s not be one of the teachers and school leaders who tell are students that they are still welcome, even if they “don’t fit the mould” of our institution.18 Let’s break that mould. There should be no mould based on race, ethnicity or socio economic status. We all should be welcome with our own individualized moulds. For it is in diversity that we truly flourish. Belonging is important. Our social interactions greatly impact our ability to learn and excel academically. Our students need to feel they belong. From a young age, they need to feel they belong. I hope that our students won’t be fighting this same battle that college students are fighting today. Let’s not put our students in the same place. Vygotsky, L.S. (1978). Mind in Society:The development of higher psychological processes. Cambridge, MA: Harvard University Press. Walton, G. M. & Cohen, G.L. (2007). A question of belonging: race, social fit, and achievement. J Pers. Soc. Psychology, 92(1), 82-96. Ladson-Billings, G. (1995a). Multicultural teacher education: Research, practice, and policy. In J.A. Banks & C.A.M. Banks (Eds. ), Handbook of Research on Multicultural Education(pp. 747-759). New York: Macmillan. Reichl, C. J. (2000). The principal’s role in creating inclusive schools for diverse students: A review of normative, empirical, and critical literature on the practice of educational administration. Review of Educational Research 70 (1): 55–81. Ladson-Billings, G. (1995b). But that’s just good teaching! The case for culturally relevant pedagogy. Theory Into Practice, 34(3), 159-165. Myra earned her Masters in Mind, Brain and Education in 2015. She is founder of Edu4Pak, a non-profit organization dedicated to reforming the educational system for impoverished children of Pakistan. She also works as a researcher for Research Schools International at Harvard Graduate School of Education, where she develops partnerships between researchers and schools to bridge the gap between evidence and practice. She is passionate about empowering and arming both teachers and students internationally with the tools to be critical learners and active voices in their community.